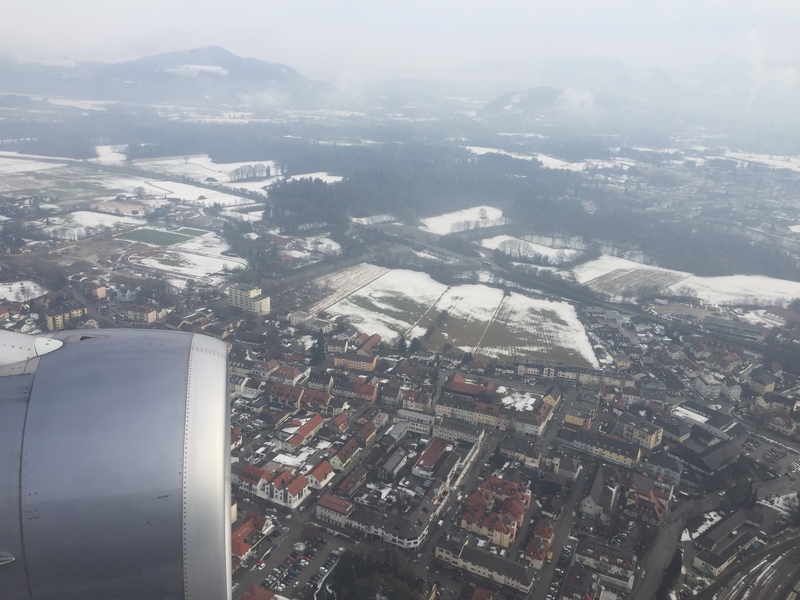 Today I flew from Nashville > JFK > Düsseldorf > Salzburg. It was a long 17 hours, including layovers. I’m pretty sure I was the only non German speaking passenger on my flight to Germany and I nearly missed my last flight because they changed the gate without announcing it. The only reason I figured it out was because I looked up from my iPad to see the gate boarder had left and I was the only one there, other than these two European women. 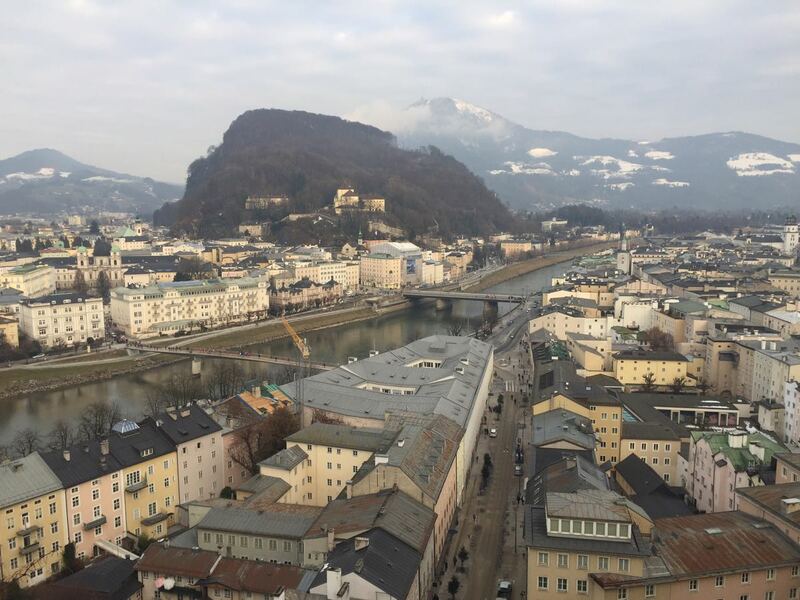 Rest assured, I made it to Salzburg. I was going to skip the cab ride for this story, but I ended up getting into Nasir’s cab. He was a very friendly driver, well educated on the history of Salzburg. I started getting suspicious that he was trying to drive up the fare, but when it turned out to be only 15€, I was relieved. Checked into the hotel and got a free room upgrade for signing up for Choice Privileges. Bigger room, bigger bed. After freshening up, I walked half a mile to Die Weisse. I followed some people in and watched them to see how they approach seating. Discovering it was a seat yourself establishment, I took a seat next to a family at the bar. I’m glad I spoke to them because we discussed visiting different European countries. 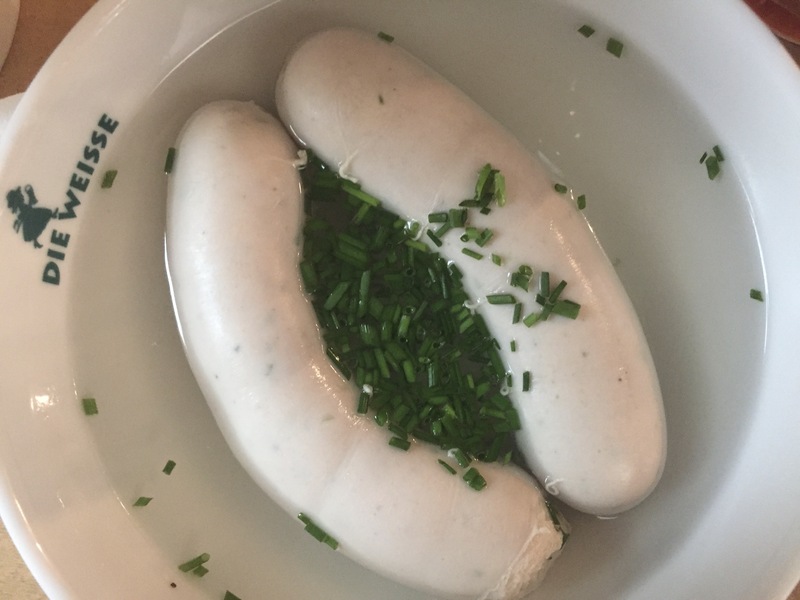 They bought me a beer and stopped me from eating the skin on the Müncher Weisswurst. Additionally, I now have a contact in Vienna. I would have been fine eating it, I just thought I would try it like the people of Austria. My meal at Die Weisse consisted of two weisswursts and what the menu called “mini pretzels.” However, the single pretzel was the same size as one you would get at Auntie Anne’s. After filling up on food, I took a long walk up the hill to Franziskischlössl. 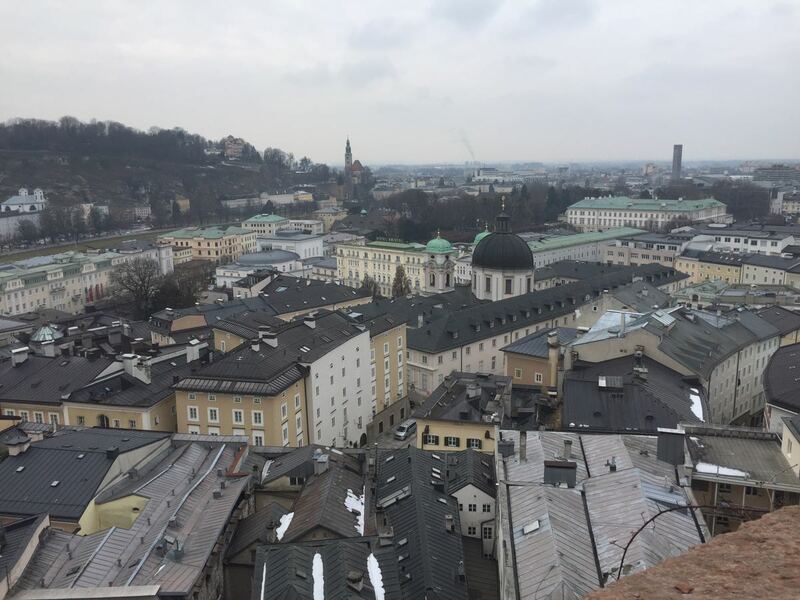 On the way up, I stopped at Kapuziner Kloster for a great view of the city north of the river. The castle was closed, but it was a nice scenic walk to burn off the beer. Unfortunately, I forgot to change out of my comfortable “airplane” shoes. The path has a lot of gravel so I kept slipping. Luckily, it wasn’t ice. Otherwise, I wouldn’t have been able to catch myself. 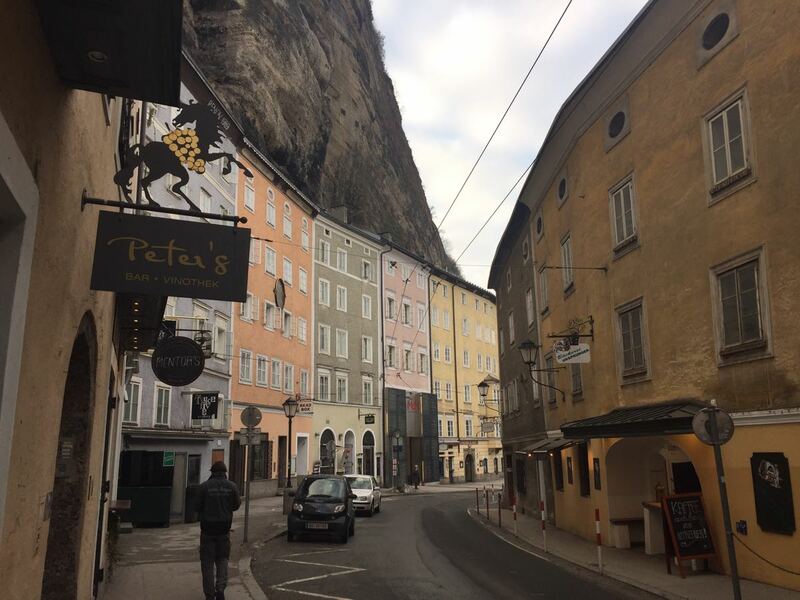 I stopped by Cafe Bazar for coffee on the way to Salzburg’s Museum of Modern Art. Apparently this museum is known more for its view of the city than the art it houses. The view was pretty great. The museum had so much art on display it became exhausting to look at. I went back to the viewing deck for one more glimpse of the city before dinner. Dinner was decided before my trip. I planned on eating at a place called Sternbräu for their veal sausage. Except I ate that at Die Weisse. 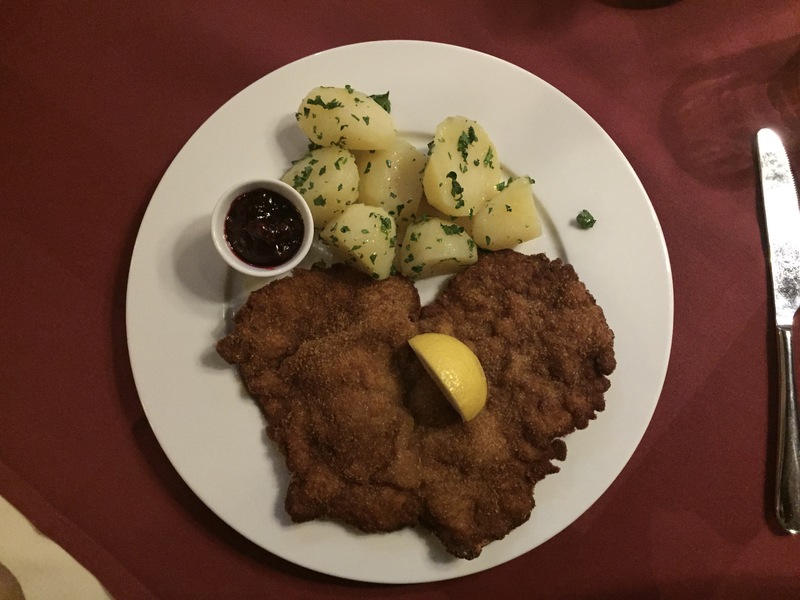 I ordered the Veal Weiner Schnitzel instead and, man, it was a monster on that plate. 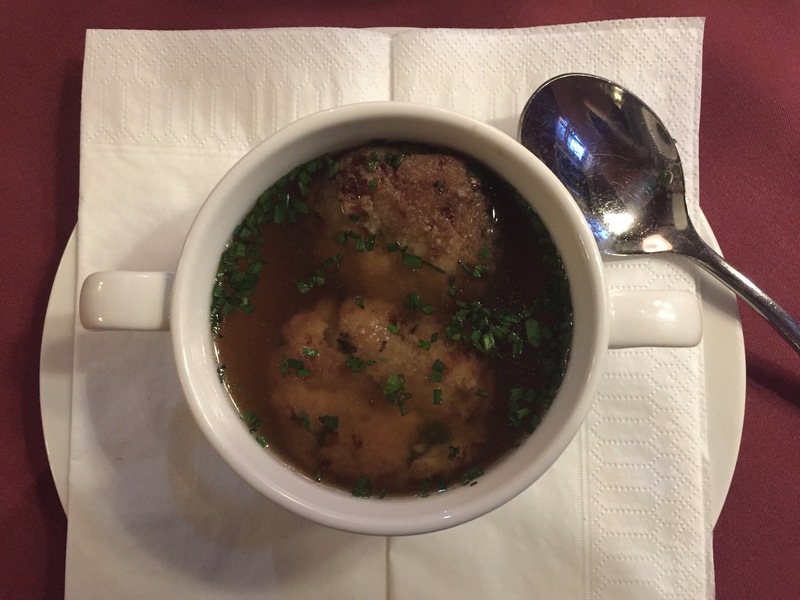 It was difficult to finish after downing cheese dumplings in beef broth and a beer. They have a bridge with locks here. It’s like the one in Paris, but this one holds a massive horde of locks. I plan to wake up early to get some pedestrian free pictures and I’m tempted to leave my travel lock on it.